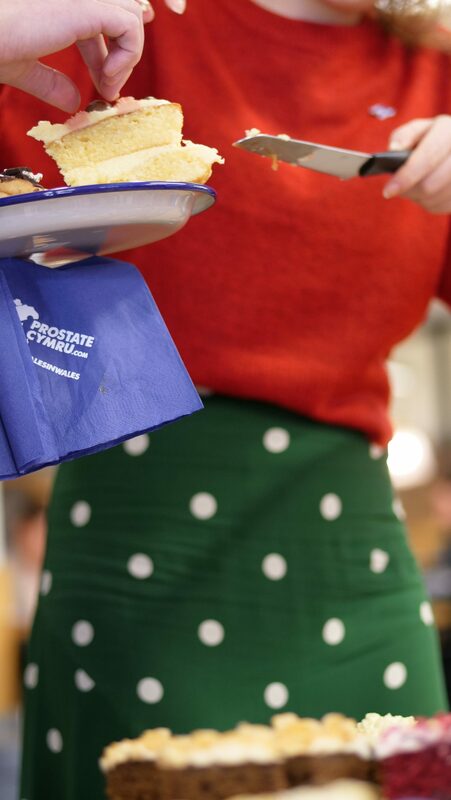 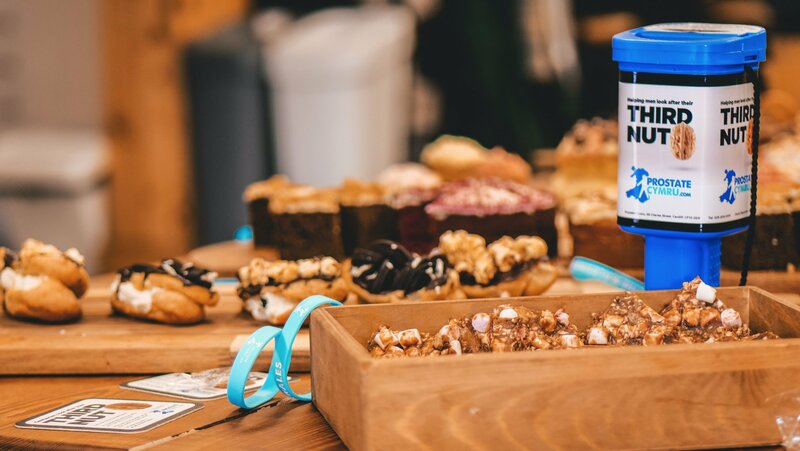 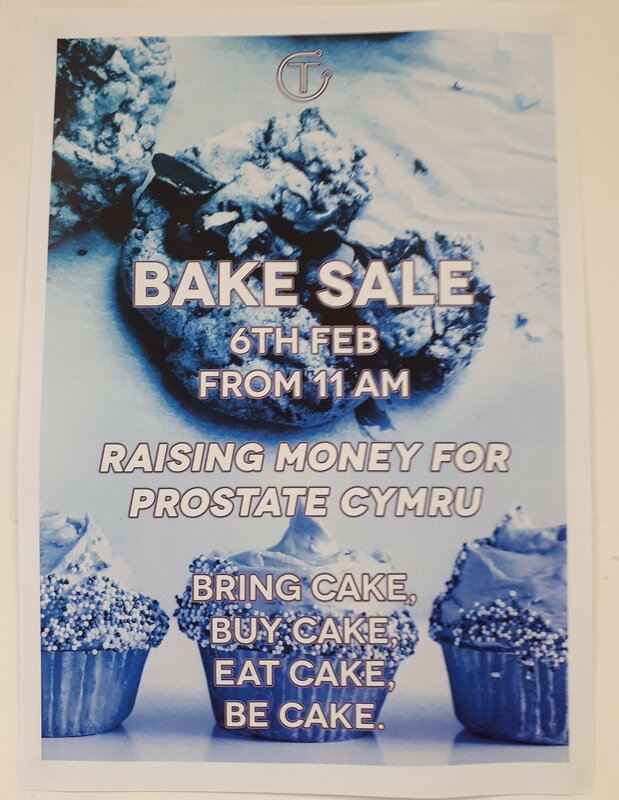 Tramshed Tech in Cardiff have chosen Prostate Cymru as their charity of the year for 2019. 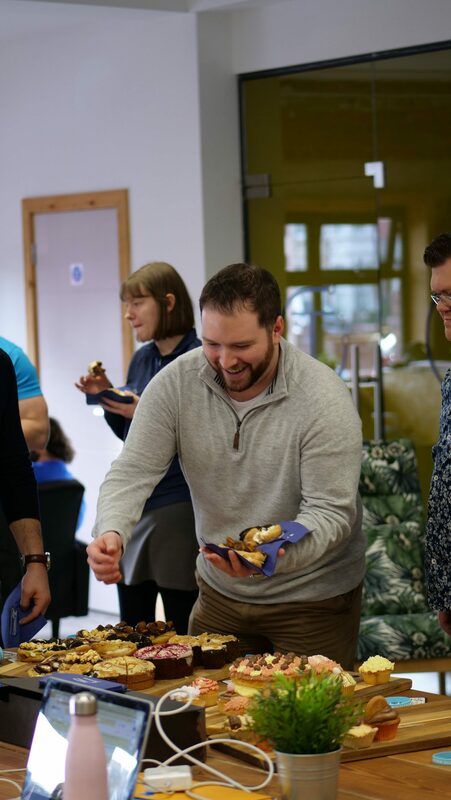 Tramshed Tech is a collaborative workspace for the tech and creative industries of Cardiff. 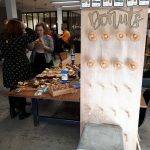 The venue includes a communal working space in addition to meeting rooms and office space and can be used to host events and workshops. 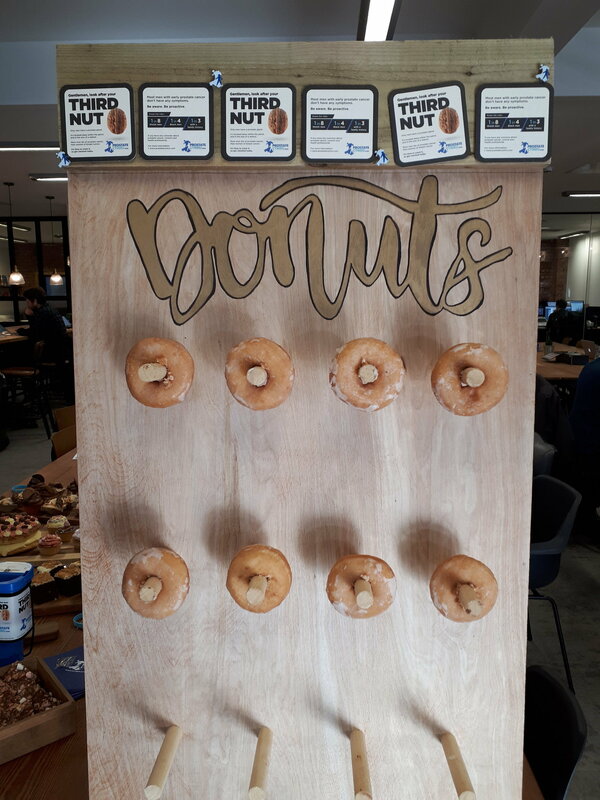 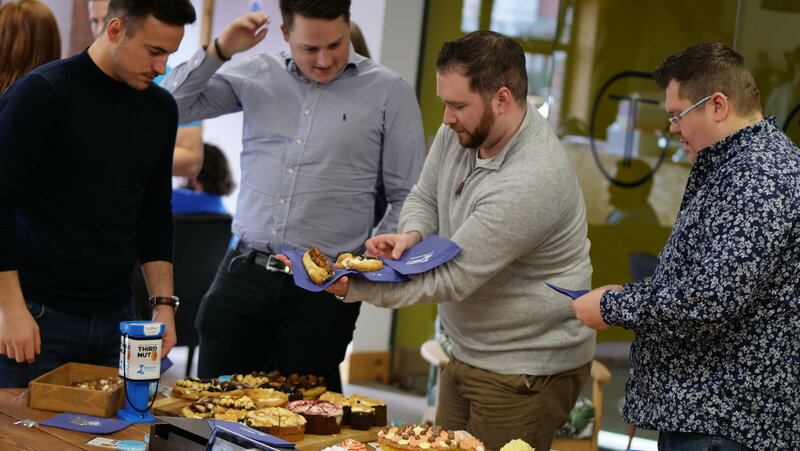 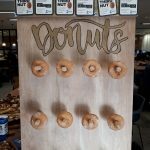 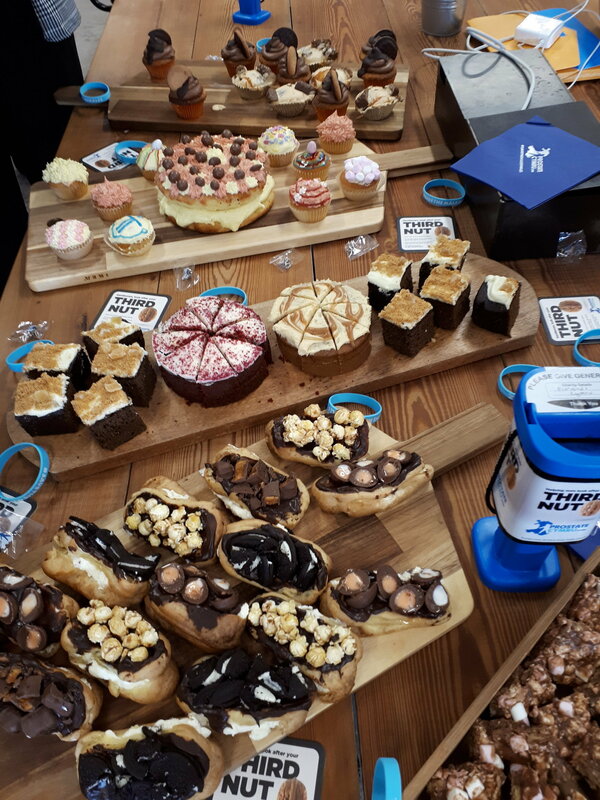 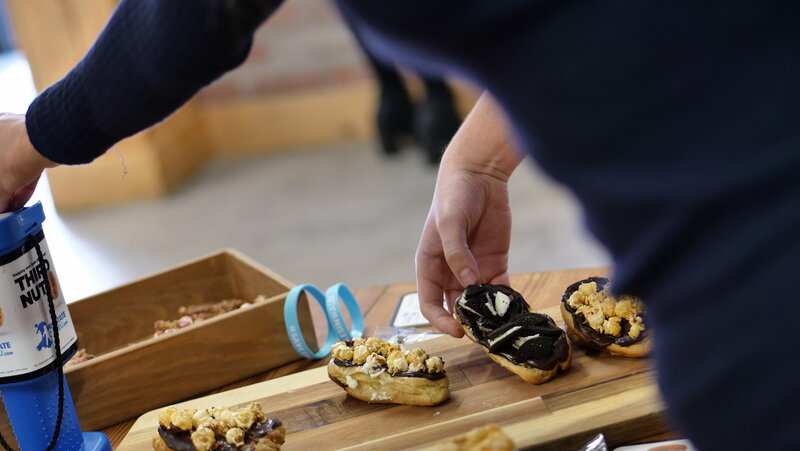 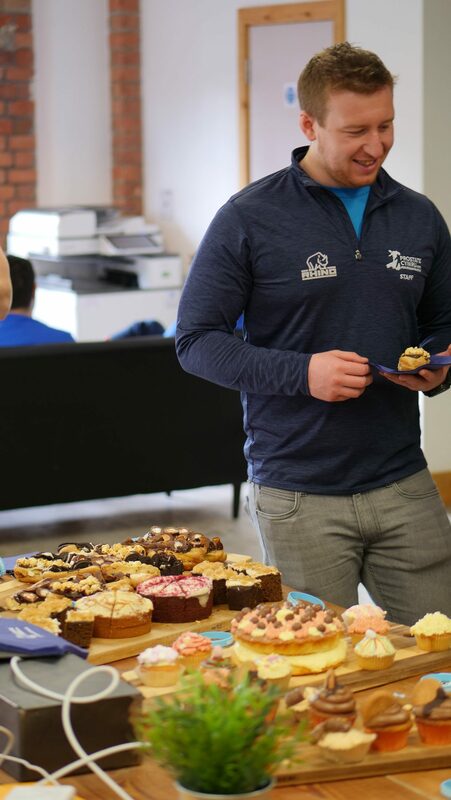 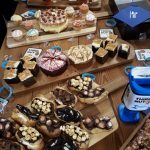 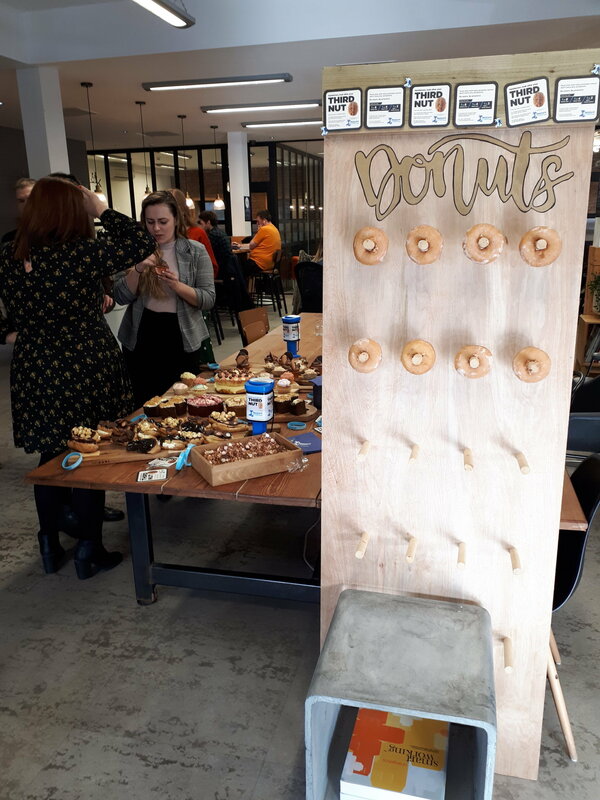 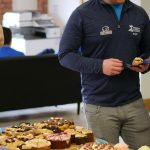 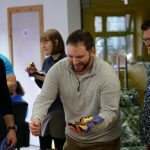 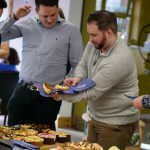 To kick start their year of fundraising Tramshed Tech organised a cake sale which took place on the morning of Wednesday 6th February in their communal working space. 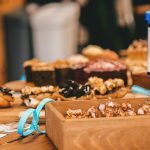 Workers baked and decorated cakes for the event. 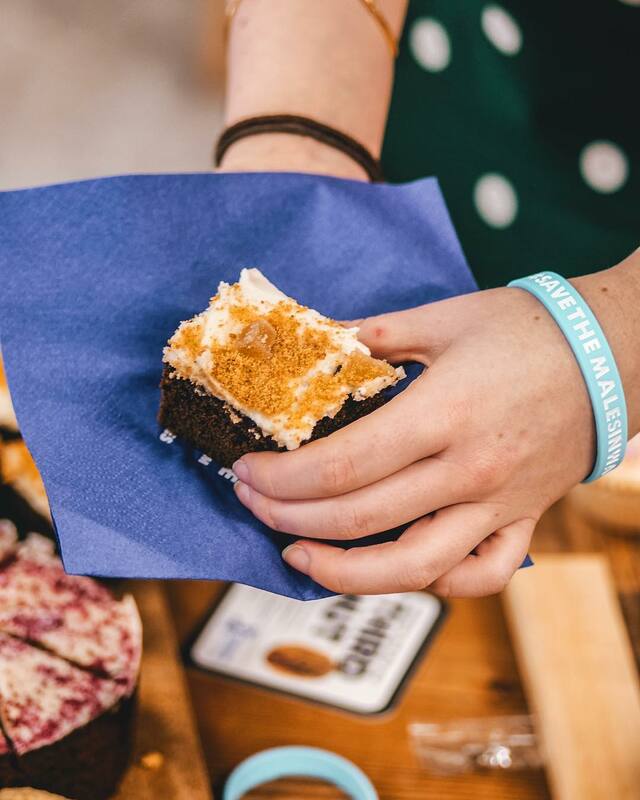 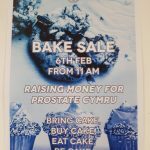 Those attending made a donation for the cakes and also picked up Prostate Cymru wristbands and badges to wear. 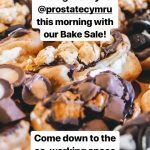 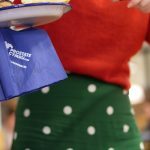 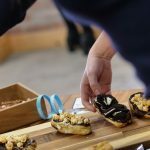 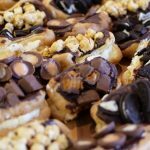 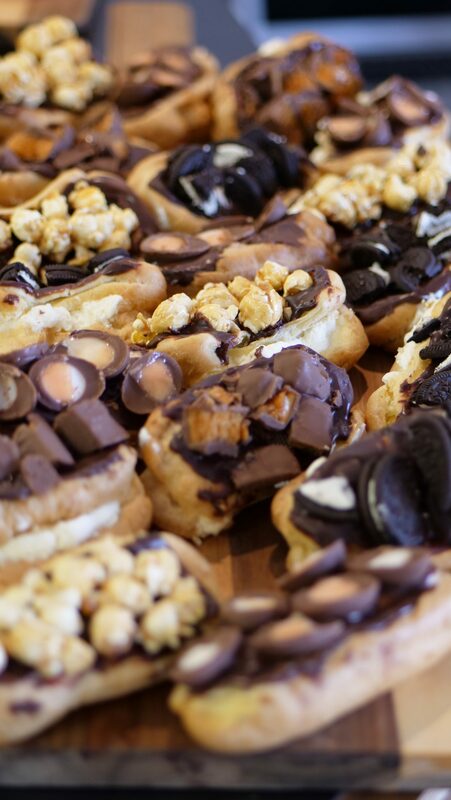 There were a great variety of treats to indulge on at the bake sale including freshly baked welshcakes, doughnuts, rocky road, ginger cake, red velvet cake, cupcakes topped with beautiful decorations, jaffa cakes and twix chocolate bars and eclairs topped with crunchies, toffee popcorn, creme eggs and oreos. 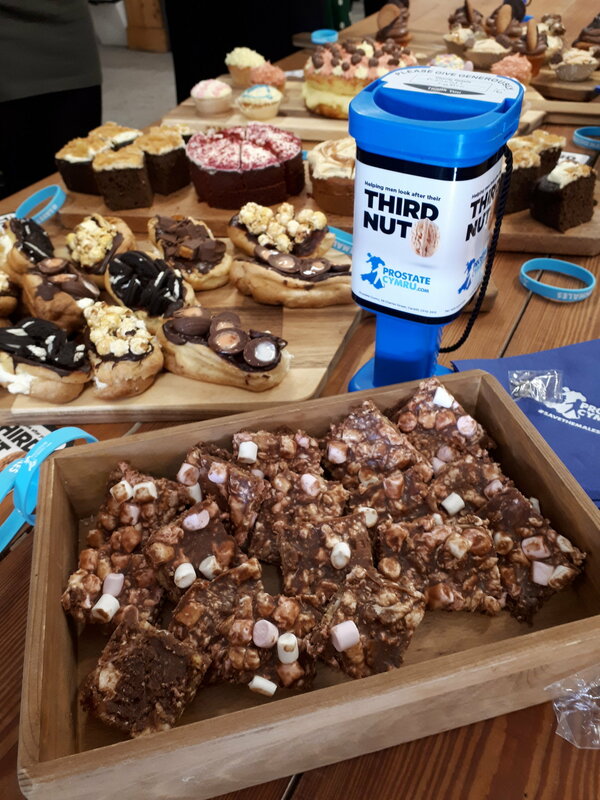 Tramshed Tech are also very keen to raise awareness of prostate issues as the charity is very close to the team’s hearts. 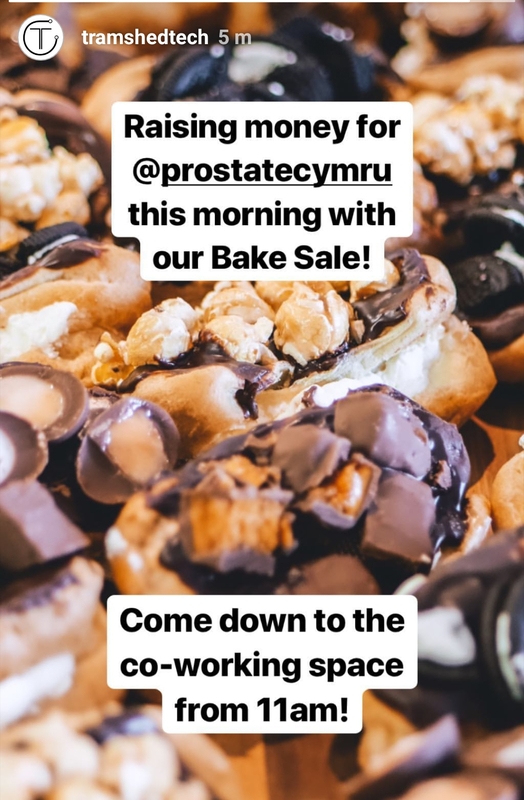 The team are hoping to organise an awareness talk at the venue later this year in which Prostate Cymru’s awareness team and Tramshed Tech manager Luke Surrey will share their personal experiences in addition to providing facts about benign prostate disease and prostate cancer. 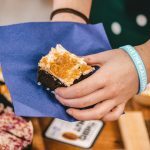 The awareness talk will be combined with a beer tasting session with The Glamorgan Brewing Company.